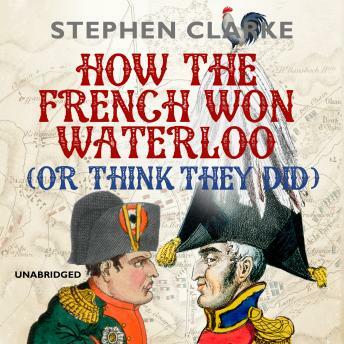 Published in the 200th Anniversary year of the Battle of Waterloo a witty look at how the French still think they won, by Stephen Clarke, author of 1000 Years of Annoying the French and A Year in the Merde. Two centuries after the Battle of Waterloo, the French are still in denial. If Napoleon lost on 18 June 1815 (and that's a big 'if'), then whoever rules the universe got it wrong. As soon as the cannons stopped firing, French historians began re-writing history. The Duke of Wellington was beaten, they say, and then the Prussians jumped into the boxing ring, breaking all the rules of battle. In essence, the French cannot bear the idea that Napoleon, their greatest-ever national hero, was in any way a loser. Especially not against the traditional enemy - les Anglais.